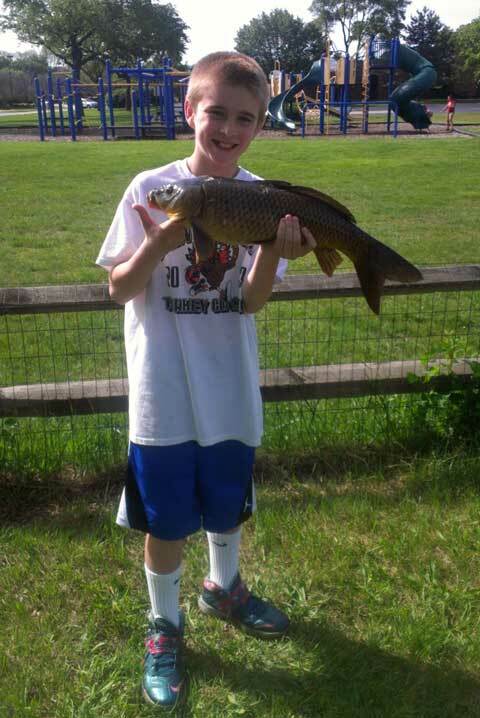 Took my little brother fishin today to get him interested in it again, and what better fight is there than carp fishing? Well my idea paid off. He was ecstatic when he pulled up this 6 lb, 25" carp. Short of a line counter you're carping like the Euro-folk from what I've seen in their Google+ groups. Nice! Carp fishing is a lot of fun. It seems after the bad winter a lot more anglers in the area are giving it a shot. What did you catch him on?